Lord Shiva: Shiva god is one of the main gods in the Hindu deities. According to Puranas, Lord Shiva history is like that Lord Mahadev is the destroyer, Lord Vishnu is the preserver and Lord Brahma is the creator. Shiva god is one of three gods among Trimurti including Lord Vishnu and Lord Brahma. Parvati Mata is the Hindu Goddess who is the symbol of love and power. Parvati Mata is the wife of Lord Shiva. Parvathi Devi is the goddess who is the symbol of Shakti. Father of Parvati Devi was the king Himavant and the mother of Parvathi Devi was queen Menaka. Shiva and Parvati have two children named Lord Ganesha or Lord Vinayaka and Lord Kartikeya or Lord Murugan. 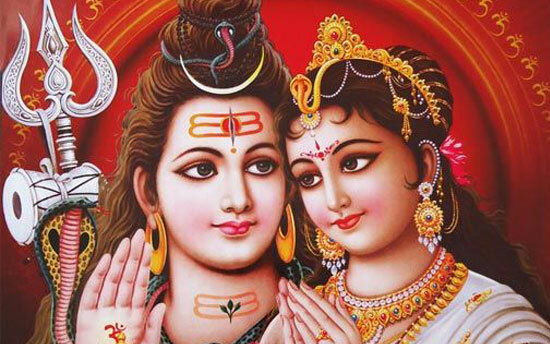 There are so many stories about Lord Shiva and Parvati and Shiva Parvati marriage. Hindu people believe that Lord Shiva and Parvathi are like the father and mother for whole humans and creatures on the earth. Let me discuss the famous story of Lord Shiva and Parvati. Read and enjoy about Lord Shiva Parvati. Before going to the Shiva and Parvati story, this story needs to be started with one cruel demon named Tarakasura. Tarakasura was a very cruel evil demon who performed so many penances to become stronger and powerful. He used to torture Devas and troubled them and started killing them. Devas were not able to fight and defeat him. They tried so many times but failed to do so. It seemed to be very tough for Devas to kill Tarakasura and get rid of him. So they wanted to take help of Lord Brahma. Devas approached Lord Brahma. 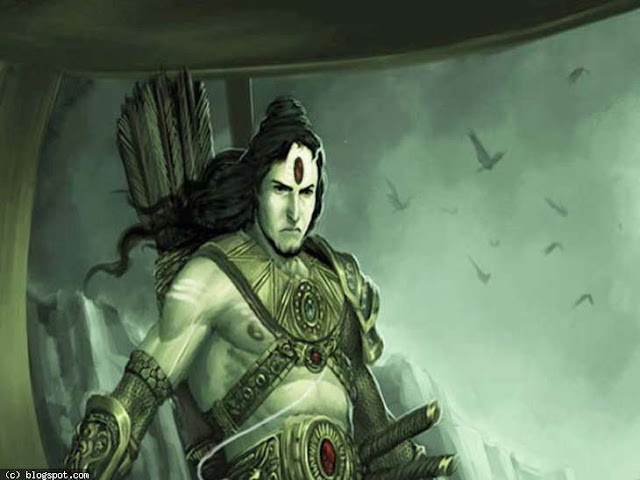 Lord Brahma told them that son of Lord Shiva was only able to defeat and kill Traakasura. By hearing this words. Devas felt sad and depressed because Lord Shiva previously married to Goddess Sati, who was the daughter of Daksha. But she sacrificed and immolated herself in the Daksha-Yaga. Due to the death of his wife Sati, Lord Shiva became so much anger and sadness then he went to the Himalayas and was in deep penance. So no one has that much braveness to disturb Lord Shiva's penance because he can make them turns into ashes with this third eye. Devas again went to Lord Brahma and said about the situation then Lord Brahma told them to worship Goddess Mahadevi. Devas worshipped Mahadevi so much. Mahadevi appeared in front of them and said that she would take incarnation as the daughter of the king Himavant and queen Menaka and will marry Lord Shiva so their child can be able to kill Tarakasura. After few days, Himavant and Menaka got a beautiful daughter. They named her as Paravati. Parvati means "of the hills" or "of the mountains". Parvati started praying Shiva god from her childhood and became a great devotee of Lord Shiva. When she turned into adult age, Himavant tried to make the marriage of Parvati but she rejected all the princes who have come to marry her because she wanted to marry Lord Shiva. Himavant and Menaka asked Parvati why she is rejecting all the princes then Paravati said that she wanted to marry Lord Shiva. Himavant felt happy and agreed for that but hew as hesitated because Lord Shiva was in penance for a long time. Then suddenly Narada entered that place. Narada knows that Mahadevi was reborn as Parvati. He advised Himavant to take Parvati to Lord Shiva and ask Shiva god to marry his daughter. Next day, Himavant and Parvati traveled to the Himalayas where the place Lord Shiva was meditating. They waited for a long time there. After so much time, Lord Shiva opened his eyes and saw both Himavant and Parvati. Lord Shiva asked Himavant "what is the reason that brought them to here!!". Then Himavant said like these, "Oh Lord, she is my daughter Parvati, she is a great devotee of you from childhood and she desired to serve you while you are doing your pujas". Then Lord Shiva agreed for that. Himavant left his daughter there and went away back to his kingdom. After that Lord Shiva asked Parvati for some flowers because he wanted to do puja. Parvati went in searching for flowers and she brought flowers and offered them to Lord Mahadev. She was always with Lord Mahadev while he was doing meditations and served him a lot for his pujas. But Lord Shiva did not show any love for Paravati. This made Devas worry because Tarakasura was doing so much destruction to them. So they wanted to take the help of Kamadeva who was the god of love. Lord Indra explained about the situation and asked him to help by breaking Lord Shiva's meditations by firing his love arrows at Lord Shiva to make Lord Mahadev see the beauty of Paravati and make him love her. Kamadeva agreed to it and he said that he can do it for them. Lord Mahadev felt angry and opened his third eye then Kamadeva turned into ashes. Lord Shiva told Parvati like these. "please stop serving to me and go back to your home and let me do my penance sincerely". Parvati felt sad and gone into depression because Lord Shiva rejected her. Parvati started doing penance for Lord Shiva because she knows that she can win Lord Shiva only with devotion. She also knows that she was Sati in the previous birth who was the wife of Lord Shiva. Parvati's penance was so powerful which was very hard for all Devas to bear that. So all Devas and Brahma and Vishnu went to Lord Shiva and requested him to stop the penance of Parvati. Lord Shiva when came to know that Parvati was his wife Sati in a previous life, he felt very sad and emotional and appeared in front of Parvati and accepted her as his wife. Parvati was so happy and she was in full of joy. Parvati suggested Shiva to ask his father Himavant to do their marriage. Lord Shiva went to Himavant and asked him. Himavant agreed for it than Lord Shiva and Goddess Parvati married with great celebrations and joy. Due to the request of Parvati Mata. Lord Shiva brought back the life of Kamadeva. So Lord Shiva was the father of universe and Goddess Parvati Devi was the mother of the universe. After their marriage Goddess, Parvathi Devi gave birth to Lord Murugan or Kartikeya, who was powerful enough to defeat and kill Tarakasura. Lord Kartikeya later killed Tarakasura and made all Devas safe and happy and offered them a prosperous life. This is all about the Story Of Lord Shiva And Goddess Parvati and the Lord Shiva Parvati marriage.